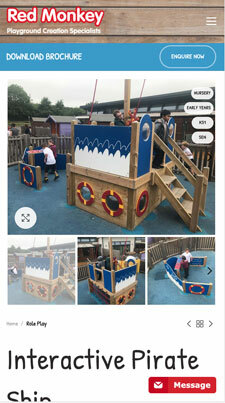 Red Monkey Play are learning development specialists who design, manufacture and install outdoor wooden play equipment for schools and nurseries. 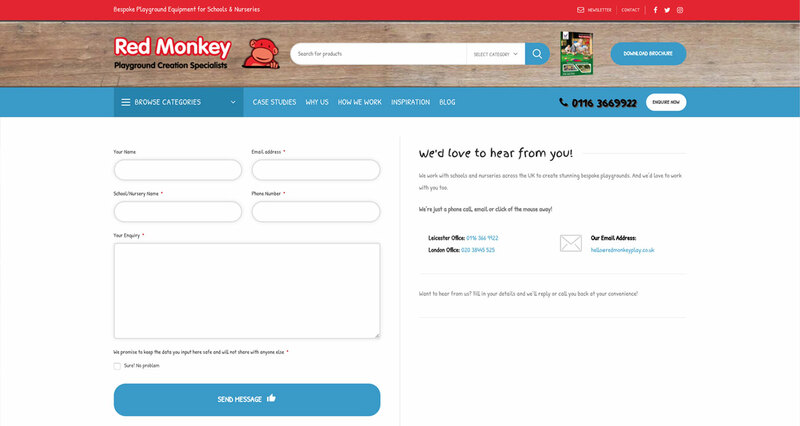 Red Monkey wanted their website to work harder for them in order to increase leads and sales. We put together a proposal outlining how we would achieve this. 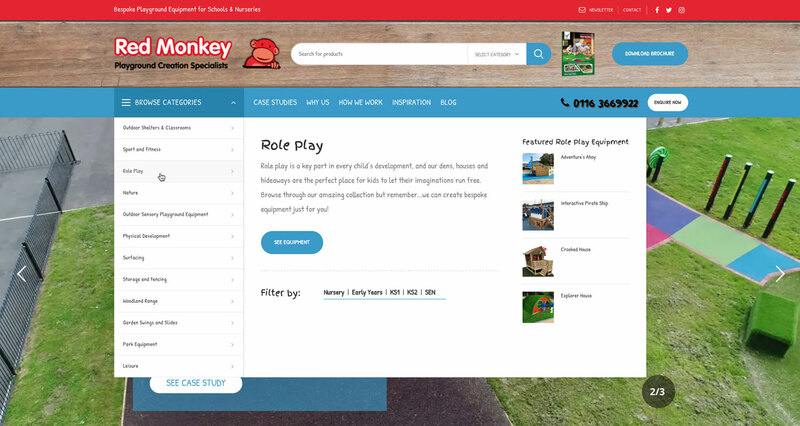 We designed and developed a new website for Red Monkey Play that converted more leads and sales from the increased traffic coming to the site. How did we do this? 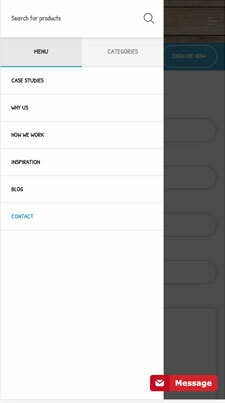 Improving the way visitors use the site so that they can access the information they want to see, quicker. 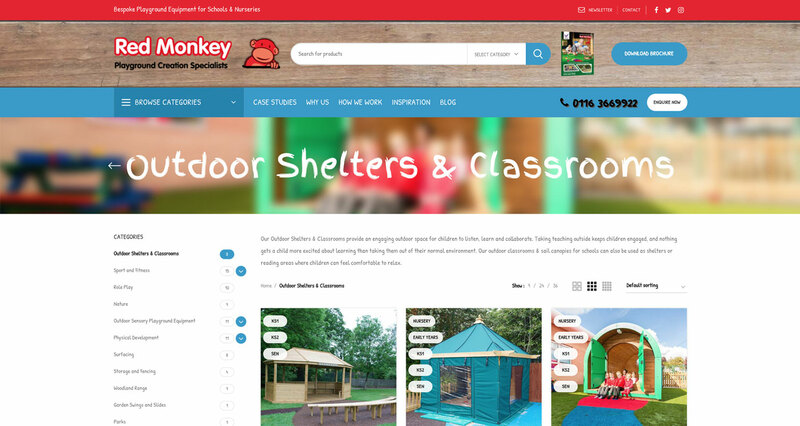 By using a CMS to build the website upon, we made it possible for Red Monkey to add new and update existing content when they need to. 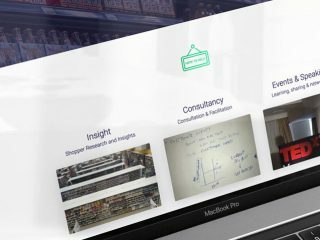 We provided training on how to update key areas of the website such as case studies, products, and blog posts easily and quickly by using pre-made templates and global sections. 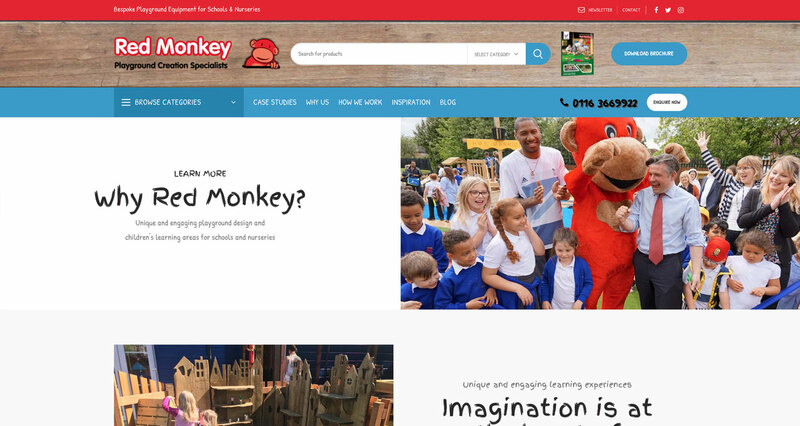 We worked with closely with the team at Red Monkey and here is what they said. Great working with Whimsie Creative. Jordan Stimpson helped our company not only with designing the website but also with the hosting issue. He clearly and concisely went through the various options which then enabled us to make an informed decision on a difficult issue. The transition was smooth with no problems. 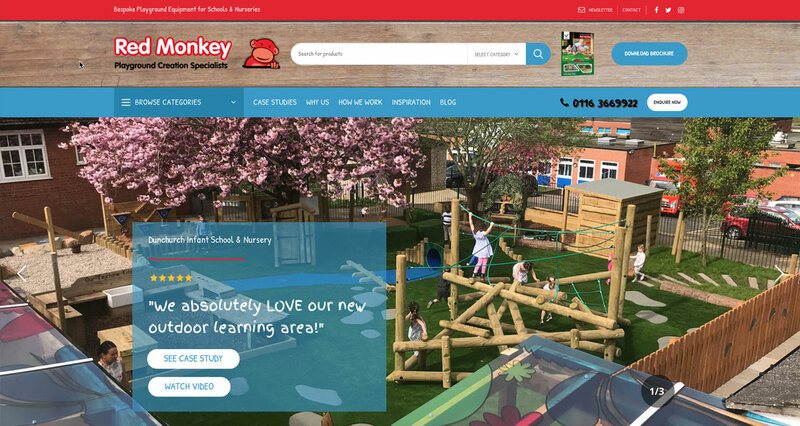 The website is now up and running and we are receiving lots of compliments. 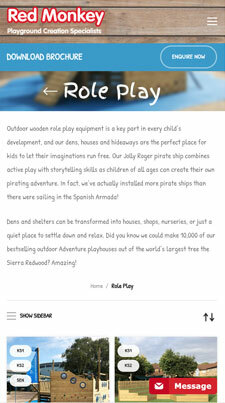 We have been so impressed with the work that Whimsie Creative put into our new website. 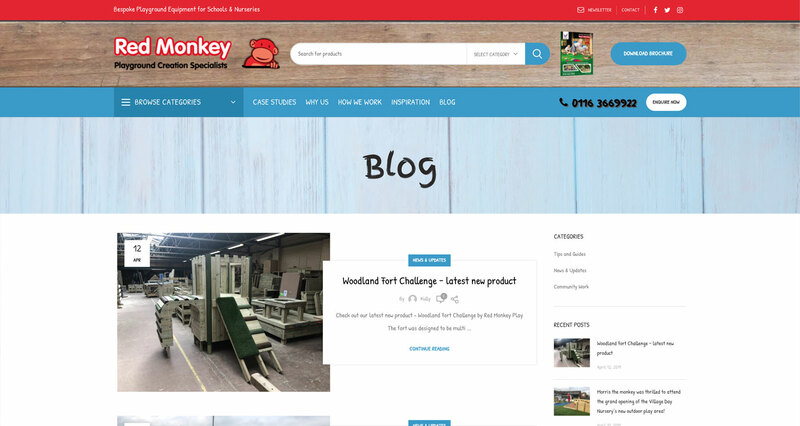 Jordan Stimpson designed our new website - made it modern, clear and easy to use. Work was done in a timely fashion and at a high standard. In fact, he went the extra mile by being available whenever we needed him and worked late to achieve our objectives. 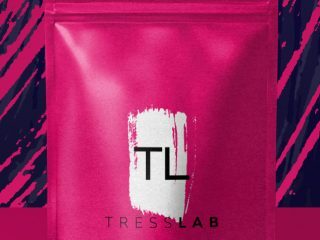 Each step of the way we discussed each page and added in the various elements that we wanted, and we have ended up with a website that has exceeded our expectations. 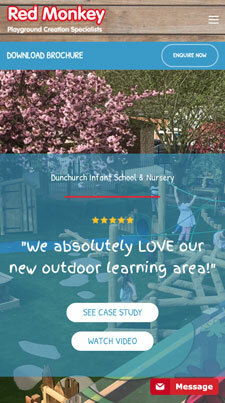 The website is now up and running and we have had many compliments from our customers. I would highly recommend Jordan and would not hesitate to use Whimsie Creative again for any design work.